For more than thirty years, the third Monday of January has been set aside for commemorative events and community service activities nationwide to celebrate the life of Dr. Martin Luther King, Jr. Dr. King’s dedication to service and his passion for strengthening communities continues to inspire us to come together and give back to our communities. 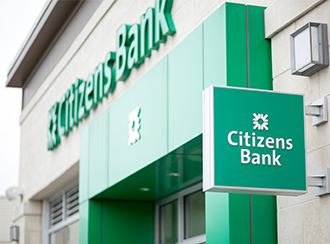 It’s part of our Citizens Bank credo - to do the best we can every day so we can do more for our customers, colleagues, communities and shareholders. 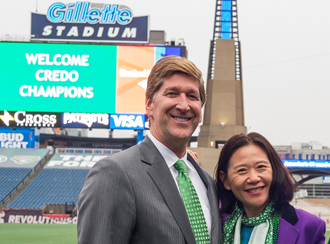 Citizens Bank is marking 2017’s MLK Day of observance by sponsoring meaningful events through nonprofit partners in Boston, Philadelphia and Rhode Island that celebrate service, diversity and inclusion. Our colleagues play a vital role by volunteering their time for these events to ensure they are available for the public to enjoy. Be sure to join us in celebrating the legacy of Dr. Martin Luther King, Jr. Details: Free general admission and special programming for everyone. Attendees can enjoy art-making activities, join a tour or a talk, hear musical performances throughout the day, and much more. Citizens volunteers will be on hand to meet and greet guests and assist with event programming. Details: 1,200 free tickets for the museum in Philadelphia will be distributed to community groups for MLK weekend. Citizens volunteers will be on hand on MLK Day to meet and greet guests and help facilitate scavenger hunts and giveaways. The Phillie Phanatic will make an appearance, as will Phillies player Roman Quinn. Details: Weekend-long celebration features a civic engagement fair at Woonsocket High School with a keynote address from Missouri State Senator Maria Chappelle-Nadal, the James W. Hinson Scholarship Banquet at Savini's Restaurant, an interfaith worship service at St. James Baptist Church and a memorial service at the MLK Memorial Garden. Citizens volunteers will be on hand to meet and greet guests and distribute giveaways. 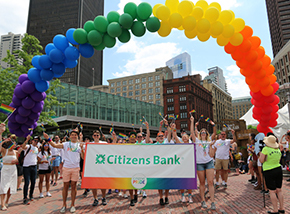 Learn more about our commitment to each other, our fellow citizens, and the communities we call home as part of life at Citizens Bank.